Passed M.A. in Geography in 1996 with 72% marks from the Dept. Of Geography, university of Rajasthan, Jaipur. 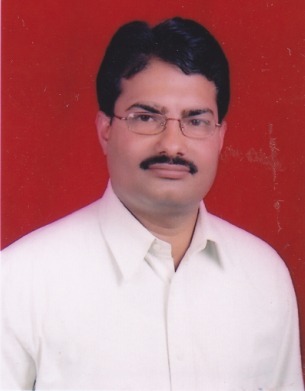 Registered for Ph.D. degree in 1997 and awarded the Degree in 2000 from U.O.R.,Jaipur. Topic of mass interest i.e. “SAMBHAR INLAND DRAINAGE BASIN “ (A Study in environmental geomorphology and management) under the supervision of Prof. H.S. Sharma eminent scholar, career scientist, senior research follow. Hence three year research experience. Having passed L.LB. Exam. In 2002 started teaching in various govt. Aided and non-aided affiliated colleges of Rajasthan, 10 year teaching experience of U.G. and P.G. classes of Geography. During this period published 10 research papers in National research journals of repute and co-author of 2 books under print. Life member of prestigious national and state level Academic Associations like NAGI (National Association of Geography India) and RGA (Rajasthan Geography Association): presented research papers and attended conferences of national and international level numbering about ten for academic achievements. Ramained examiner for both U.G. and P.G examination of geography in VMOU Kota, M D S University, Ajmer, U.O.R. Jaipur, MLS University, Udaipur, Maharaja Ganga Singh University, Bikaner and thus 8 years experience. Extra-curricular activities: Senior under officer, B certificate holder NCC, Himalaya wood badge holder in scouting. In-charge N.S.S., Administrative experience 5 years- H.O.D. Geography and Director Regional Centres of Jaipur, Kota and Bikaner VMOU.